Parashat Naso introduces the laws of the Nazirite, a person who takes a vow of piety for a finite period of time in which the person is prohibited from consuming any grape product, having contact with the dead and cutting hair. The Haftarah for Parashat Naso is from the book of Judges and describes the birth of the most famous Nazirite in history, Samson. He had the unusual especially unusual status of being subject to the vow from birth. He is known for the link between his hair and his physical strength. 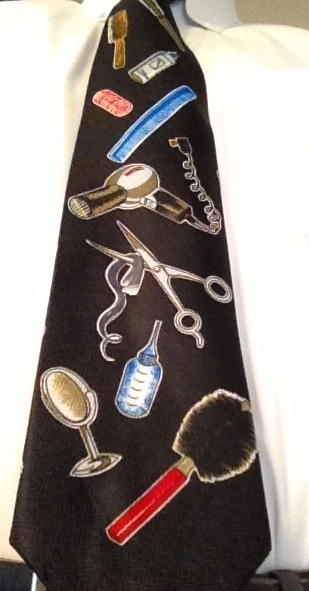 The hair-care products on this week’s tie remind us of the Nazirite.